This week I moved out of the tiny one-room place I’ve lived at since I moved to Chicago in 2012. The little studio in Uptown, Chicago was one of the few places I could afford when I came here right after college, and when I moved in I had just four bags of clothing and miscellaneous cooking supplies to my name. I’ve bought a few things since then, but I still managed to move out alone without much trouble. People don’t realize how much their stuff weighs them down until they have to move it all. Living out of my car taught me to pair down to the bare essentials. 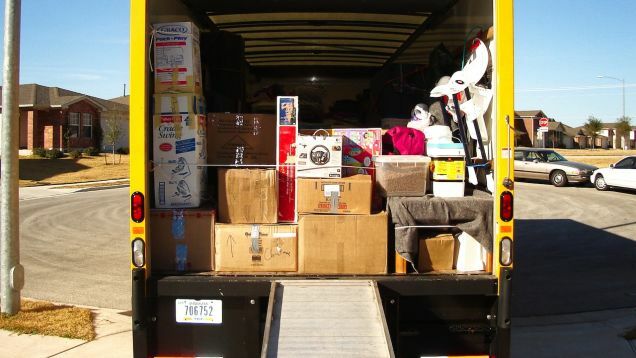 I had to get rid of all my furniture, most of my cooking stuff, and a lot of my clothes when I left Knoxville to hit the road, and initially it was hard. I kept wanting to include stuff that I knew would come in handy, but kept being held back by the reality that my car only had so many cubic feet of room. It forced me into a mentality that elimination is good, even after I stopped my wandering and came to Chicago. The key to keeping your possessions light is questioning what you “need” regularly. I still have things I don’t strictly “need,” but not a lot of them. Of the things I do have, I’d be willing to part with just about all of them in a minute if I really had to, and I continually test that by letting go of things regularly. If you want to keep the number of things you own to a minimum to avoid being encumbered by them, you have to continually push yourself to let go. Keep a few personal items that remind you of your favorite people and places, but remember that you aren’t obligated to save every single gift someone gave you. Having lots of things to remind you of a person, time, or place isn’t any better than having just one. A lot of people still don’t “get” why I have slept without a bed for the past couple years, but it truly does remind me that things do not define my happiness. It helps me remember that people are the reason I wake up, come to work, and do fun things. I’m not earning money to support a lifestyle, but rather living life in a way that supports happiness. If you don’t love what you do or don’t love something you own, then find a way to let it go.